Don't look now, but the Leafs are 3 points out of the playoffs. A 3-2 win over the Eastern Conference leading Philadelphia Flyers on Thursday night is the Leafs 9th straight one goal game - a stretch in which they've gone 6-0-3. Former Leaf Kris Versteeg almost spoiled Toronto's night, scoring both Flyers goals - which he promptly celebrated by eating half of his mouthguard. With points in 14 of 16 games since the All Star Break, the Leafs have climbed the Eastern Conference ladder to the point where they have the 7th and 8th place playoff seeds in sight. With 17 games remaining for Toronto, these late season pushes are all too familiar for Maple Leafs fans. Nothing was more heartbreaking than winning a thriller against Montreal in 2007, only to have some guy name Wade Dubielewicz took the Islanders into the playoffs. The month of March will be interesting, but April could be very interesting. With rookie James Reimer answering the call every night, and Phil Kessel hanging up the Missing Posters in his locker stall for motivation, can the Leafs make Leafland dreams come true? The team refuses to give up, and the best news for Leaf fans - that first round pick Boston has won't be participating in any lotteries come early April. Check your rear views Carolina and New York. They always step it up near the end. I am just happy that they won't be in the bottom 5. It will be hard to catch the Sabres. 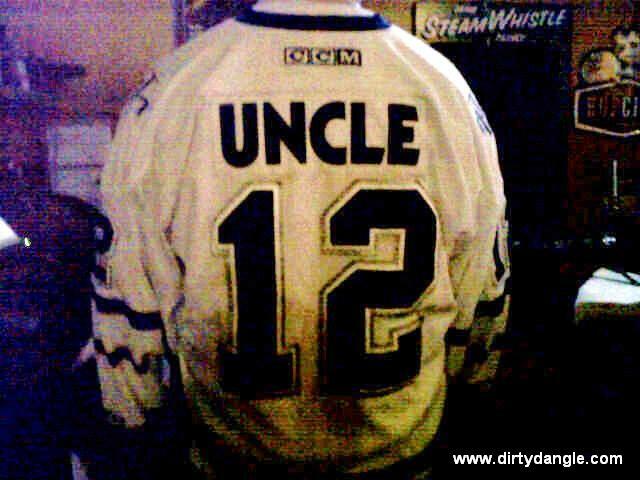 With Ryan Miller and the team playing well, and they also have 2 games in hand over the Leafs. 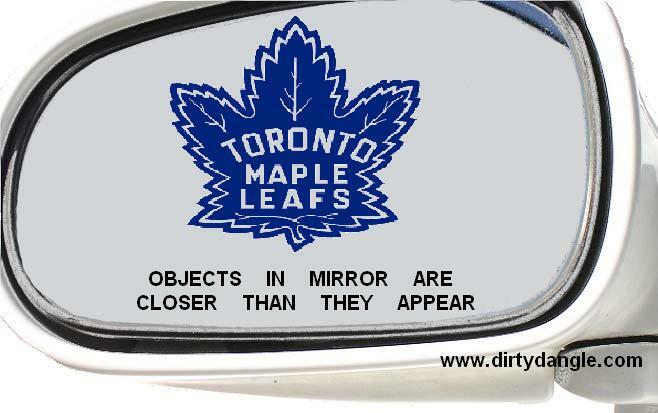 Not looking too for the Leafs right now... and the Devils are in their rearview mirror! NJuggernaut!